In addition to these and other benefits, trusts provide a level of privacy many find attractive, and they can buffer assets from creditor attacks, providing yet another level of protection. They’re a great option for those looking to safeguard assets during their lifetime, and to preserve property, investments, valuables, and heirlooms for the benefit of future generations. There are many different kinds of trusts, from Medicaid trusts to ones protecting assets from irresponsible heirs. A trust can be revocable— also known as a living trust, these can be changed at any time during the grantor’s lifetime. It can also be irrevocable, i.e. amendments may not be made during the grantor’s lifetime after the trust has been signed. Obviously, you’ll need to work with an attorney to determine what kind of trust best fits your needs, but in all cases, individuals must transfer ownership of property from themselves to the trust. In simple terms, the trust then owns the property, not the individual. Great! What Else Do I Need to Know? 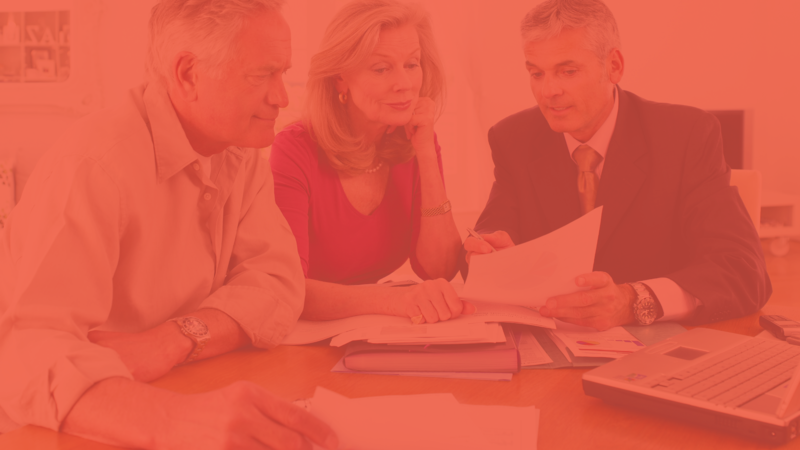 These are highly effective estate planning options with one caveat: without making the proper arrangements, assets placed within the trust are still vulnerable to uninsured claims, which can deplete them just as surely as estate taxes and creditor attacks. Getting your insurance ducks in a row is just as important as forming the trust itself. If you haven’t made the appropriate changes with your insurance company, your insurance policies cover you and only you, and not the trust. Or, conversely, if the trust is covered but you and/or close family members are not, there could be problems in the event of a loss. This leaves you, and property within the trust, exposed. That’s why it’s so important that you consult with a trusted insurance professional who can make sure your insurance policies provide the right coverage for you. Let’s take a look at some common insurance policy types, and the pitfalls to avoid when setting up a trust. If you’ve transferred your house to a trust, the trust now owns the home— not you, personally. And although from a day-to-day perspective nothing has really changed, from an homeowners insurance standpoint, that event can trigger big changes. A revocable trust, for example, could add any number of new exposures to an insurer’s risk pool so you need to know whether this affects you as a policyholder. And any potential litigation concerning the trust’s property may apply to you or to the trust--- or even to both -- so understanding matters of insurance becomes even more important, if less straightforward. Say, due to a faulty circuit, a fire breaks out in your home and ultimately destroys the entire structure. Although you’re devastated, at least you know you’ve got good insurance coverage. But when the adjuster asks for a copy of the title and sees the home is owned by the trust (not you), and your insurance policy names only you (and not the trust), you’ve got a big problem in collecting the insurance proceeds. If no change is made to your homeowners or umbrella policy, the trust in which your assets have been placed is neither an insured nor a named insured under those policies. So the assets within the trust are vulnerable to legal expenses and judgments in the event of a lawsuit. Suppose when the fire breaks out in your home, your nanny, Anne, is trapped and sustains major injuries as a result. Her family sues you, personally, as well as the owner of the defective circuit -- which is the trust -- for damages. But since you’re the only named insured on the policy, it only covers you, not the trust. Likely then, significant assets are depleted to pay the legal fees necessary to defend the trust, and if a judgment is made against the homeowner -- remember, that’s the trust -- and in favor of the plaintiff, Anne and her family can go after the liquid investments owned by the trust. Even if you amend your homeowner’s policy to name the trust as an insured party, you may still be left open to uninsured claims. That’s why it’s so important to enlist the guidance of a trusted insurance professional so you don’t inadvertently interfere with your property coverage. Using a fire again as our example, suppose the structure is ruined, and your home and all the property within it is deemed a total loss. While the trust owns the house and is the insured, you own all the items inside: your furniture, computers, appliances and other valuables. And those things could end up without insurance coverage if you’re not covered by the policy personally. I’ve Just Set Up My Trust— What’s My Next Move? There are lots of opinions within the insurance industry about best practices with respect to how trusts can affect insurance coverage. Some insurers and agents believe adding the trust as an Additional Insured on the policy is sufficient. Others believe the trust along with the trustees, grantors and potential beneficiaries should be Named Insured. That’s why your next move is to involve an insurance professional immediately following the formation of a trust. In fact, it should be your next call when you hang up with the attorney. Let them guide you with their specific knowledge and expertise. Some experts even advise that for trusts with assets in excess of $10 million you should ask your attorney to call your broker to review your policies together to identify any holes. The fact is, without the appropriate insurance coverage, those conscientious enough to set up a trust could well be wasting time and money, only realizing such a costly oversight when it’s too late. At Thrive Insurance, our goal is to provide real answers. We’re specialists in the intricacies involved in insuring trusts that hold your personal assets and we don’t believe in giving half-hearted answers or taking risky short cuts. We’re also innovators, offering creative solutions to best meet the needs of our clients, no matter how big the challenge or how long it takes.